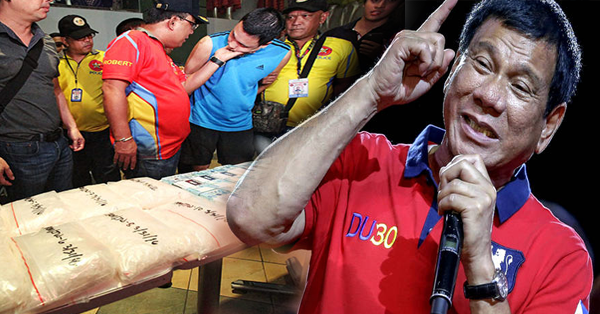 WATCH: Mayor Duterte's Commitment to Chase Drug Lords Has Started! Chasing "drug lords" is one of the promises of the incoming administration. With the latest raids that the security officials have been doing, it is noticeable that the commitment has started to be fulfilled. In the most recent drug raid, 7 Chinese citizens were arrested in Binondo, Manila. According to CIDG spokesperson Chief Inspector Elizabeth Jasmin said the suspects were caught in a buy-bust operation in the Epitome Flower Shop situated at Pacific Center room 89-b, Quintin Paredes Street. An undercover group accompanied by Bernadette Tagle set up the suspects and tried to buy illegal substances that led to the arrest of the perpetrators. An official said that the supposed flower shop was leased, but there was no permit for it to operate. They found 3 kilos of allegedly prohibited substances which has a value of almost 3 million pesos. Keren Ten, believed to be the owner of the unit, tried to deny the operation, but apparently admitted. She also confessed that the group has a connection to a member of the Anti-Illegal Drug unit of Manila Police District whose role is an adviser. She said that the official has the initials BDG.